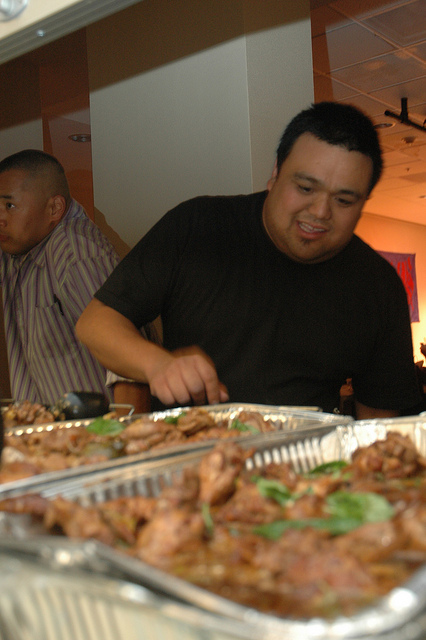 Former SF CHRP Chairperson, Mike Luat, looks over the chicken adobo being served at SF CHRP’s yearly Valentine’s Day dinner and show. 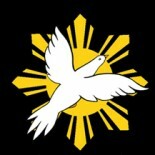 We, concerned Filipinos and Filipino Americans human rights defenders, bind ourselves together to create an organization which shall have the nationalist and democratic ideals of Filipinos in the Philippines and abroad. We shall tirelessly work and defend human rights gained by the struggle of Filipinos and shall forever uphold the civil and political rights of Filipinos. We believe the struggle for the protection and advancement of human rights in the Philippines and Filipino people throughout the world is a struggle that is connected to the overall Philippine people’s movement for national sovereignty and genuine democracy. CHRP educates, activates, and organizes Bay Area communities to promote human rights of the Filipino people as well as supports the human rights struggles of all people. It is so encouraging to learn about your group that is working to promote human rights for Filipinos in the Philippines and for all people everywhere. We also have a small group here in La Union, Philippines doing some human rights advocacy activities. Lately, there have been incidents of political killings in La Union. The police and the civil society are both concerned with this unfavorable events.